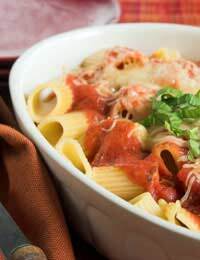 Pasta dishes are very popular with young and old members if the family. Finding a pasta recipe that feeds a hungry family and where most of the ingredients can come from the store cupboard is a boon to a busy cook. You need not use expensive tuna in this recipe. Supermarkets own brands of tuna are ideal and cost very little. Any form of pasta shape will suffice for this meal. However the pasta shells (conchigilie) seem to be very good in this recipe. A regular sized bag of pasta will serve the family for a few meals and cost less than one pound. Mozzarella cheese is made from water buffalo milk and has a distinctive flavour. The elasticity of the cheese lends itself to pizza dishes and also to this recipe where it melts amongst the pasta and tuna and is very tasty. This recipe is easy to prepare and quick to cook so is ideal after a hard day at work or when you come home late and want to eat as soon as possible. 100 g grated strong cheddar cheese. Boil a pan of salted water and add the pasta shells. Cook until they are just tender (al dente). At the same time heat the oil in a small pan and add the onion and garlic and cook until the onion is clear but not brown. Drain the water from the pasta shells. To the pan add the onion and garlic, the two cans of tomatoes with herbs, the tomato paste and the mozarella cheese. Ensure that the tuna is well drained and flake with a fork and add to the pan. Mix together so that the ingredients are combined without breaking the pasta shells. Tip carefully into a heat proof dish. Add the grated parmesan cheese and layer the fresh tomato on top. Serve immediately with home-made garlic bread. Garlic bread is quick and easy to prepare and cook. This can be done whilst the pasta is cooking and makes a tasty accompaniment. Take one French stick and slice into two inch chunks. Place 200 grams of butter into a warm bowl. Add two crushed garlic cloves and a heaped teaspoon of dried chopped parsley. Mix well and use half the mixture to spread over one side of each piece of French bread. Place under the grill and toast lightly. Repeat on the other side of the bread with the remaining garlic butter. Serve at once whilst still hot. If your family are not keen on tuna replace with two chicken fillets. Dice them into small cubes and cook with the onion and garlic until the chicken is cooked through. Add to the pasta as before.